One key element of management is planning but in this day and age you have to do what I call modern planning. This is an essential skill for all leaders. So whilst you plan for everything and anything, for this post I will refer to planning important goals with your team. I believe in team work and I believe real leaders achieve much more through teamwork than individual effort. So if you have one or more people in your team, I am talking to you. It is important to be clear about your goals so that those who you are leading follow you. Where you are the one casting a vision, it is important that you cast it in a way that is motivational, persuasive and beneficial to your followers. Remember that people follow those they believe in. Even where people are volunteers or getting paid by you as the leader, you still need to ensure the above and get buy in. Once the vision is cast, it is important to allow suggestions on how to achieve the goals from your followers. Due to #diversity, you will be surprised by ideas you can glean from your followers. You might actually get ideas you never expected and merge them with your own or give direction in such a way that your followers believe they have significantly contributed to the plan. Achieving the balance of team contribution means that they take ownership of the plan and are willing to take responsibility. As a leader, you want to ensure influence and achieve your goals through people. Modern planning then goes to the next level, the use of technology for monitoring and tracking. This means that as the leader you can have a dashboard of your goals and daily or weekly activities which you and the team follow to ensure progress. A dashboard also allows your followers to lead themselves than to rely on you to track their progress. I am of the strong opinion that most followers want success and to impress their leadership so they are likely to push themselves towards achieving success. What happens if your followers are constantly not achieving anything? Keep following the leadership diaries. I started sharing on leadership after a trigger I got whilst taking a trip to CapeTown first week of May. I asked myself a question why I am able to follow certain leadership and why I am able to lead some followers. I started comparing and started a mental difficult discussions and the answers were displayed in front of me out right. I started looking back into history and also in the bible. 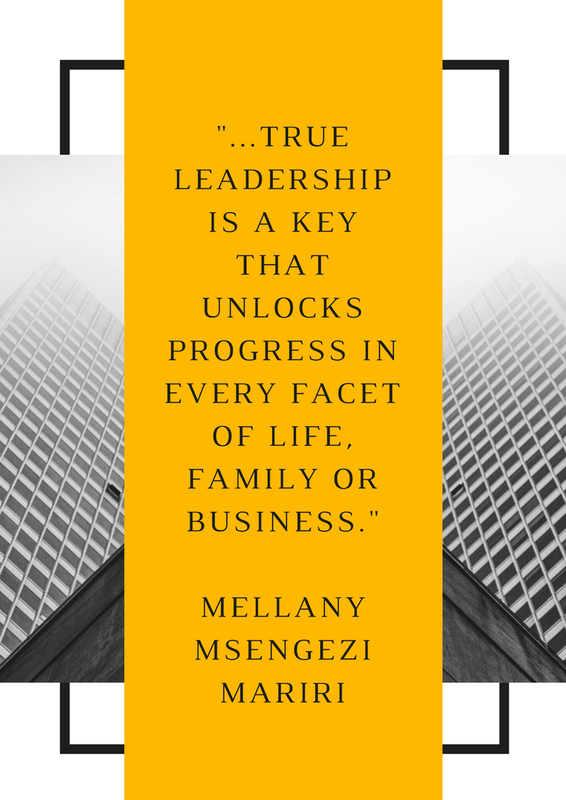 I am so clear that true leadership is a key that unlocks progress in every facet of life, family or business. Keep following.